At Pittsford Dental Excellence Center, we offer dental bridges as a long-term replacement for lost teeth. If you have missing teeth, a dental bridge can replace them while also reducing the stress of your bite caused by misalignment, and maintaining the shape of your face. Bridges can be installed in combination with dental implants, which are inserted directly into the jawbone. In this case, the dental bridge is attached to implants, instead of existing teeth. Bridgework is not recommended if a patient suffers from gum disease, or for pediatric patients who have yet to have all their permanent teeth emerge. What does a dental bridge do? A dental bridge fills the gap caused by a missing tooth. Quite literally, it forms a bridge between your remaining natural teeth that are on either side of the space. 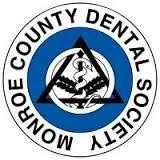 Pittsford Dental Excellence Center crafts all our bridgework from top-quality dental porcelain. Each bridge is custom-made in a laboratory, then matched in color to look like your remaining natural teeth. Comfort – Bridges are permanently bonded into place—with an implant or crown at each end. As a result, they will not slip or irritate the gums like dentures can. A permanent bond allows you to eat, drink and speak normally at all times. Easy to maintain – To clean your dental bridge, just brush it the same way you would your natural teeth. Durability – Quality bridgework should remain viable for about ten years before needing to be replaced. Tooth loss can cause long-term problems for your oral health, leads to an uneven bite, and causes premature aging. It can hinder your ability to chew and eat or cause your remaining teeth to shift and become crooked. Over time, tooth loss even can affect your jawbone and facial structure. Dental bridges are used as a long-term replacement for missing teeth. If you have lost some teeth, a dental bridge can fill the gaps, and reduce the stress of your bite caused by misalignment. They are also very helpful in maintaining the shape of the face. 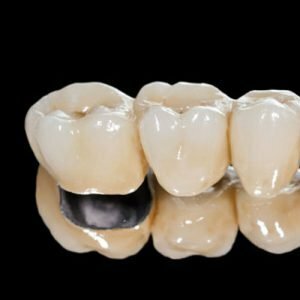 What are the benefits of a dental bridge? Because bridges are bonded into place, they will not slip or irritate the gums. This means that they are very comfortable. The permanent bond also allows you to speak, eat, and drink easily. Dental bridges are very easy to clean and maintain and can be brushed in the same way as you would your natural teeth. They are also durable — in fact, good quality bridgework should last for around ten years before needing to be replaced. Tooth loss can cause a range of long-term problems if left untreated. Gaps in the mouth can lead to an uneven bite, and cause premature aging. Your ability to chew can be affected, and gaps left by missing teeth can also cause the remaining teeth to shift and become crooked. Tooth loss can even affect the jawbone and structure of the face over time. Why risk any of these problems? Let Pittsford Dental Excellence Center replace your missing teeth and restore your smile. Contact our office in Pittsford, NY, at (585) 248-2575 to schedule an initial consultation. 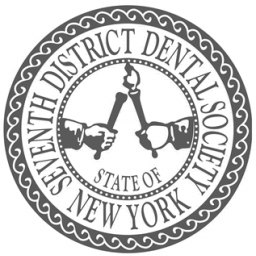 Pittsford Dental Excellence Center provides comprehensive oral health care to individuals in the areas of Fairport, Pittsford and Rochester, NY. Please fill in the online enquiry form to ask a question or book your consultation. The friendly team at Pittsford Dental Excellence Center look forward to seeing you in our clinic soon! What is dentophobia and how can it be combatted?